On Friday 29 April the Fitzwilliam Medical and Veterinary Society held their annual Anatomy Craft Show in College. The exhibits presented could be of any anatomical structure, but had to fit into one of five Medical and Veterinary Science Tripos Part I subjects: 1. Veterinary Anatomy and Physiology (VAP); 2. Functional Architecture of the Body (FAB); 3. Human Reproduction (HR)/Veterinary Reproductive Biology (VRB); 4. Comparative Vertebrate Biology (CVB); and, new to this year, 5. Comparative Med/Vet with prizes for the most imaginative use of materials, best edible exhibit and best in class. 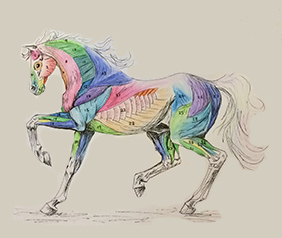 This year's judges were Dr David Bainbridge (University Clinical Veterinary Anatomist) and Dr Annalise Katz-Summercorn (Fitzwilliam Medical Anatomy Supervisor and Bye-Fellow) who had a tough time deciding the winning anatomical structures. 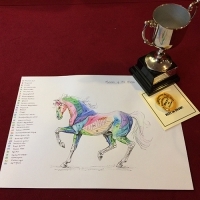 Best in show: Colour drawing of the muscles of the horse by second-year vet Lizzy Robson from Jesus College. 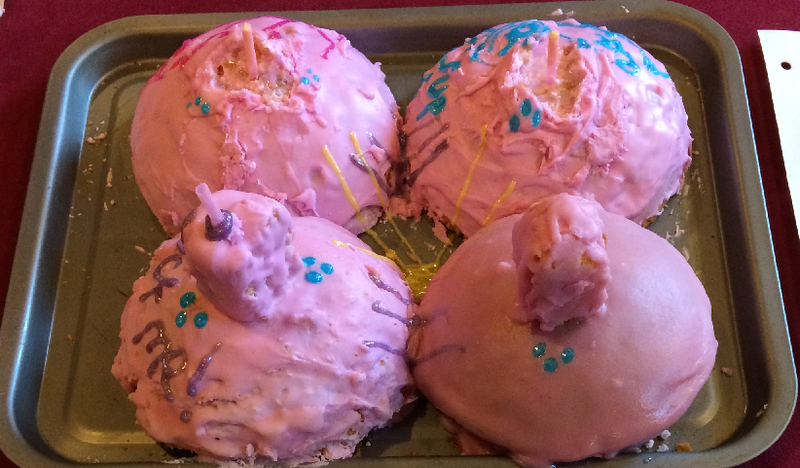 Most edible exhibit: Cow’s udder cake by Fitzwilliam second-year vets Lea Wenger and Ben Haythornwaite. 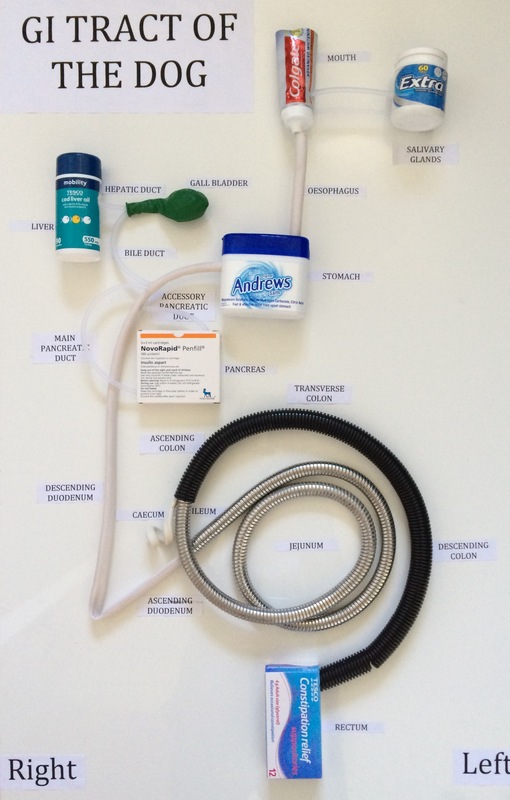 Most imaginative use of materials: Dog’s intestinal tract exhibit by Dr Angie Tavernor, Fitzwilliam Veterinary Fellow.